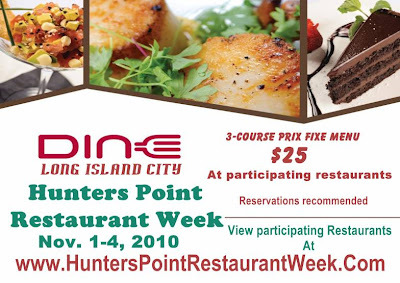 Hunters Point Restaurant Week is here this week, starting today and going through this Thursday. I was excited to see this Long Island City focused restaurant promotion because I happen to love a lot of the restaurants included and also because these restos are still for the most part overlooked and undiscovered. I also have no doubt that you'll be pleasantly surprised with how homey and wonderful some of them are and I hope they become your go-to's in the future.